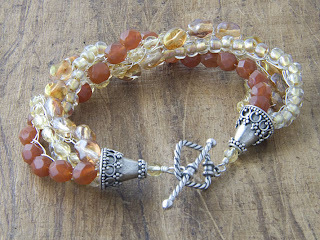 I am excited to announce my new wire retreat which will be located in Kelseyville, CA at Perlz Beads & Yarn! 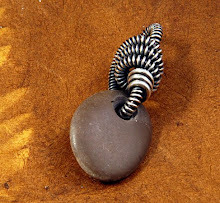 This is a three day workshop that explores the possibilities of creating jewelry with knitting, crochet & weaving techniques using a medium that transforms the techniques into the sculptural. 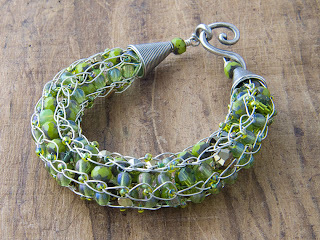 "Join guest artist, Lisa Claxton, for three days of knitting, crocheting and weaving wire with beads into incredibly beautiful jewelry. This retreat combines 5 of Lisa’s best classes - including a brand new project - Spool Knitted Bracelet, Viking Knit Chain, Woven Wire Cuff, Simple Wire Crochet Bracelet and Crochet Medallion Bracelet. Since the beginning of civilization, textiles have been a fundamental part of human life and culture. Over time, the methods and materials used to produce textile works have expanded immensely but the basic function of textiles has remained the same. 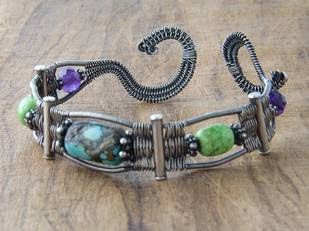 We will begin our exploration of textile techniques with wire by creating a woven wire cuff. Students will learn technical aspects of structure building, coiling, weaving with wire and incorporating beads into the design. Traditional knitting techniques with needles do not always translate into wirework. For this reason a combination of techniques are used to reproduce a knitted pattern including spool knitting and hand knitting. 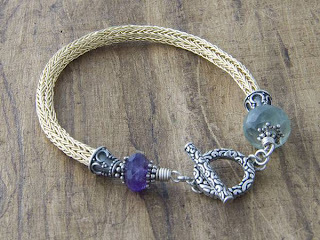 Students will experience both techniques by first learning the function of a knitting spool and how to make a bead-laden bracelet with wire. Then we will take it one step further by learning how to hand knit the wire around a wooden dowel to create a tightly woven chain. 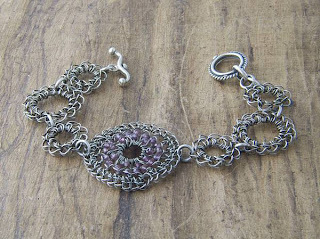 Techniques include: knitting the wire, drawing down the chains both by hand and with the aid of a drawplate, and finishing techniques. Fine, annealed wire can be used in almost every crochet application so long as steps are taken by the craftsperson to properly care for the wire while crocheting and mimic the looping technique of yarn. Students will be introduced to crocheting with wire by making a multi-strand bracelet that incorporates chain stitching with beads. This technique is then built upon by learning how to crochet in the round using both single and double crochet. Finishing techniques and consistency in tension are explained in detail. If you are interested in signing up for this retreat, contact Perlz Beads & Yarn for more information. Kelseyville, CA is located in a sleepy part of Northern California that will make you question whether small town livin' is right for you. With little to distract us from the task at hand our work over the three day period is sure to inspire obsession. Plus a nearby attraction is Clear Lake, which it turns out is not clear at all! !